Photography and Videography play a key role in every aspect of media and creation. Most communication will be visual in the future, and that time is now. Stories are told through the lenses of visual creators, established and emerged, telling a story with every shutter. True expression, in the form of visual creation, spoken work, interactive installations and inspirations. Every creative strand intertwined in art is a blessing to be a part of. Art tells stories, sometimes without words, and can move you in ways you could never imagine. Art is not just something to be seen, it is something to be experienced. Select any of the pictures below to see full articles, interviews and details on the featured visual creators and contributors.  Focusing on the development, exposure and growth of all things fashion. From designers, to runway/print/editorial models, to brand ambassadors, to stylists, Elevated Fashion strives to bring different sides of the industry together. Connecting these fields with opportunities to collaborate through branded photo-shoots, industry based workshops, fashion shows, video shoots, commercials, casting calls and more. Surrounding you with industry related opportunities, experienced brands, influencers, models and more. Select any of the pictures below to see full article and details on the featured models, designers, and stylists.